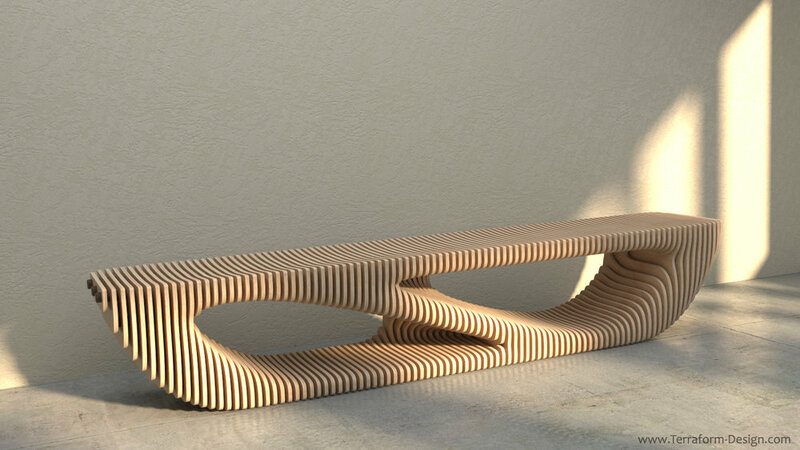 The Zebulun Bench gives a touch of postmodern, industrial style to any room, hallway, or other space it occupies. Crafted from Baltic Birch Plywood, this piece is held together by a network of zinc-plated, threaded metal rods and wooden spacers. The Zebulun Bench can be altered from its natural light-brown color, and can be stained or painted in a variety of different color options. If you do not see your preferred color displayed, please reach out to us so that we can accommodate your aesthetic taste. By default, we finish this piece with a high-quality, lacquer based satin finish.